Who says research isn’t cool! If air conditioners and refrigerators become much more efficient in the days to come, you’ll probably want to tip your hat to research scholar Atul Soti. Atul works in the area of enhancing heat transfer in exchanges between solids and liquids. The air conditioner cools the room by exchanging heat with the environment. Likewise, in power plants, water is converted into steam. Atul is hoping that his work will help increase the efficiency of these processes. 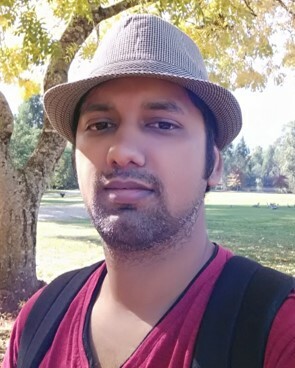 His research project, under the supervision of Prof Mark Thompson and Prof Rajneesh Bhardwaj, is titled, ‘An Immersed-Boundary method based solver to compute flows with solid–fluid and fluid–fluid interfaces’. “As the reputation of The IITB-Monash Research Academy begins to grow and as more organizations start collaborating with the Academy, we anticipate that it will contribute to maintaining India’s reputation as a leading-edge global research hub,” says Dr. Murali Sastry, CEO, IITB-Monash Research Academy. The work being undertaken by Raghavendra can have a significant impact on restricting the increase of global temperature to below 2°C, the figure agreed on during the recent climate change summit in Paris. We’ll be watching his progress closely.